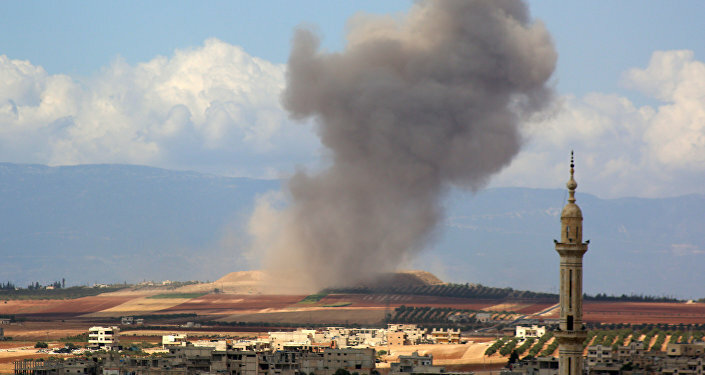 MOSCOW (Sputnik) – More than 300 people left Syria’s Idlib de-escalation zone through the humanitarian corridor over the past 24 hours, the Russian Defense Ministry's Center for Refugee Reception, Distribution and Settlement said Saturday in a statement. "In total, 301 refugees (112 women and 141 children), 10 vehicles and 100 heads of cattle have passed via the Abu al-Duhur CP [checkpoint] to Aleppo province from the Idlib de-escalation zone," the statement reads. It is noted that medical care was provided to 175 Syrians, including 81 children. Earlier in September, Russian President Vladimir Putin and his Turkish counterpart Recep Tayyip Erdogan signed an agreement aimed at setting up a 9-12 mile demilitarized zone in Idlib province along the contact line of the armed opposition and the government forces by October 15.